Prime Minister Justin Trudeau was a surprise guest at WE Day on Tuesday. Leah Eustace was at the Canadian Tire Centre and captured this image just a few moments ago. Thousands of students from across Ottawa came to the Canadian Tire Centre Tuesday morning for a star-studded day that was meant to inspire and motivate — but the event also managed to surprise. While the lineup for the event had been posted for some time, two special guests were added to the roster at the last minute: Prime Minister Justin Trudeau and his wife, Sophie Grégoire-Trudeau. Speaking in both English and French, Trudeau said he wanted to remind the students that “each and every one of us is powerful” and that just by attending the event they were making a positive impact. The couple was clearly a hit with the younger audience, who clapped and cheered throughout their time on stage. As they left, Trudeau was swarmed by dozens of students, all wanting to take selfies with their new Prime Minister. 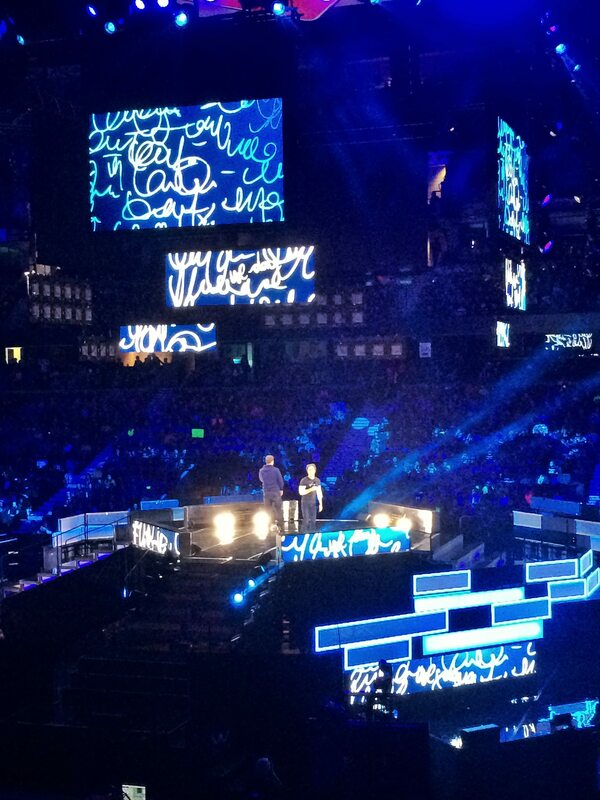 International activists and WE Day co-founders,Craig and Marc Kielburger, took the state at WE Day on Tuesday morning. Photo by Leah Eustace, Ottawa Magazine. The event opened earlier in the day with a moving video presentation featuring messages from everyone from pop stars to royalty giving motivational messages. “It’s fun, there are shows, and it teaches us,” he added. Eleven-year-old Belden Bizimana said the day had brought to light, “a lot of global issues that I didn’t know about” and several students who attended said they were struck by the anti-bullying message. 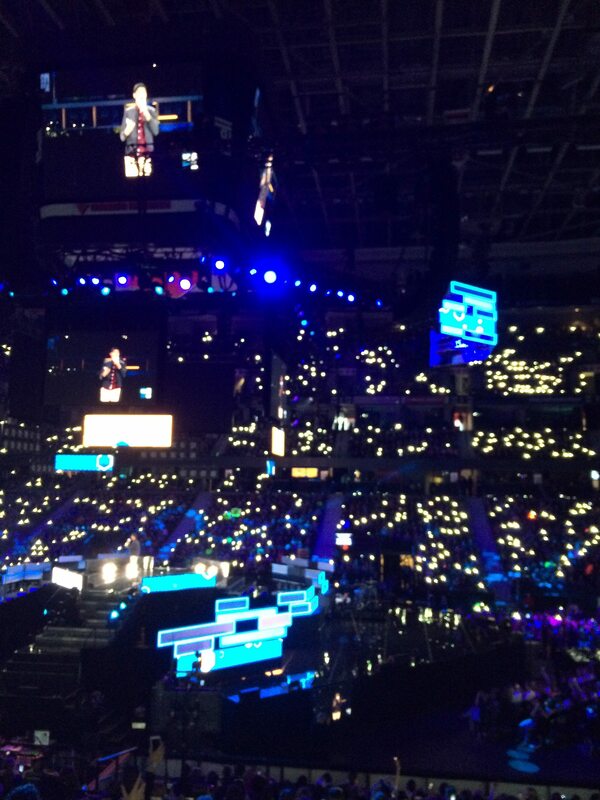 Students “light a spark” at WE Day 2015 at the Canadian Tire Centre. Photo by Leah Eustace, Ottawa Magazine. Co-hosted by television personalities Liz Trinnear and Maripier Morin, the event featured “educational speeches, inspirational moments and empowering performances” from U.S. Ambassador Bruce Heyman and his wife, Vicki Heyman, Rick Hansen, Henry Winkler, Lilly Singh, Simple Plan, Kardinal Offishall, Shawn Hook, Spencer West and WE Day co-founders Craig and Marc Kielburger. 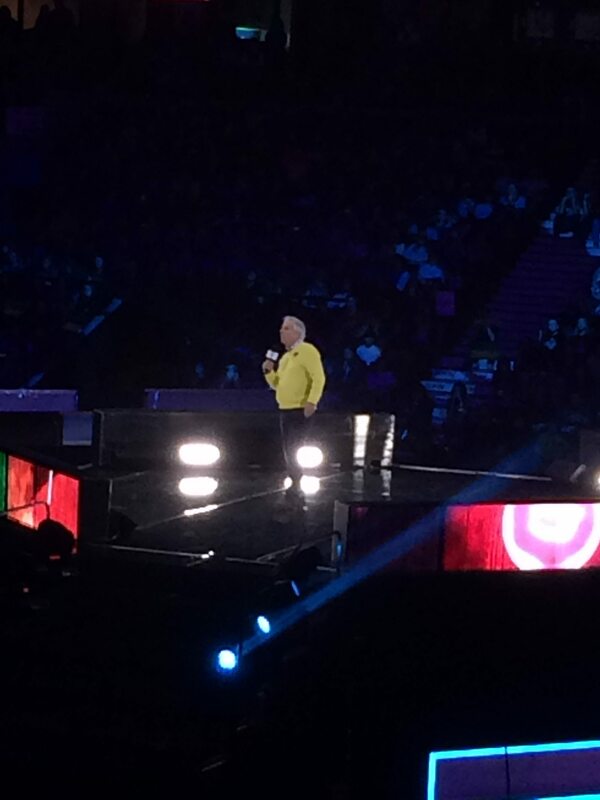 Actor Henry Winkler, better known to many as The Fonz from the television series Happy Days, takes the stage at WE Day. Photo by Leah Eustace, Ottawa Magazine. 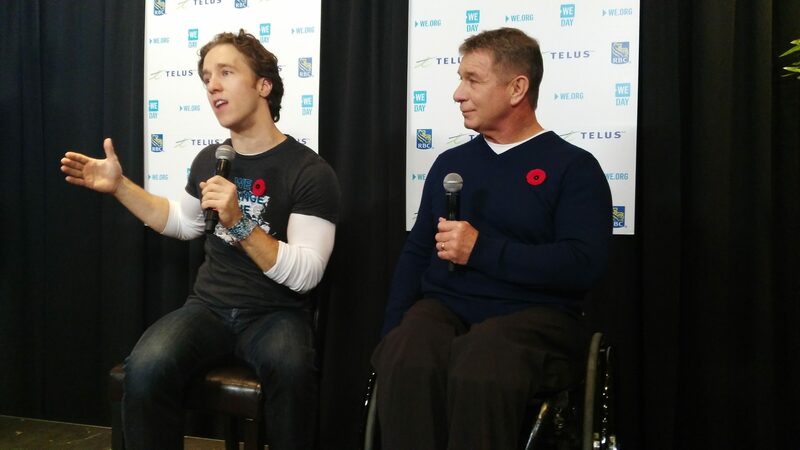 WE Day co-founder Craig Kielburger and Canadian Paralympian, activist and philanthropist Rick Hansen address members of the media at the Canadian Tire Centre. Photo by Nicolina Leone, Ottawa Magazine. U.S. 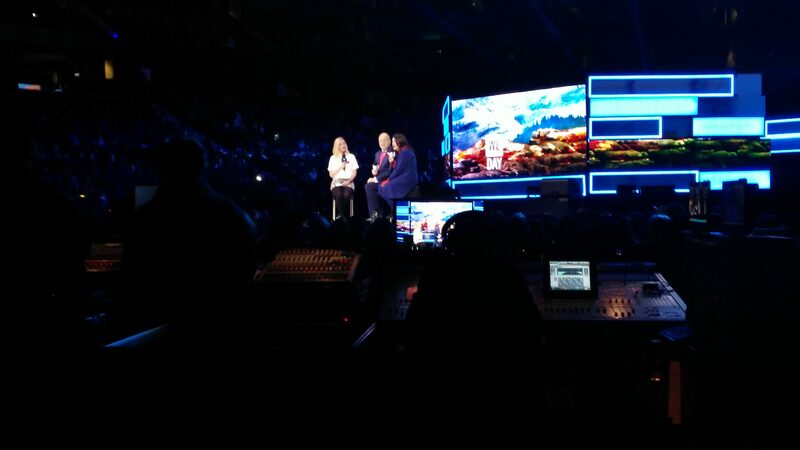 Ambassador Bruce Heyman and his wife, Vicki Heyman, are interviewed by host Liz Trinnear at WE Day Ottawa 2015. Photo by Nicolina Leone, Ottawa Magazine.